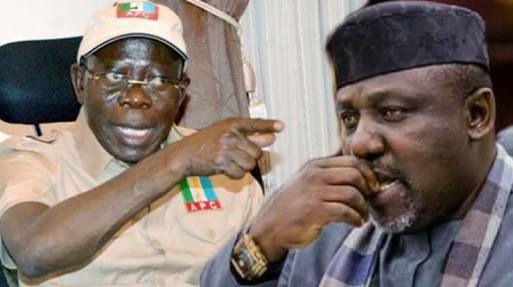 A disciplinary committee set up by the Imo State chapter of the All Progressives Congress (APC) has summoned the state governor, Rochas Okorocha to face a panel over his activities. 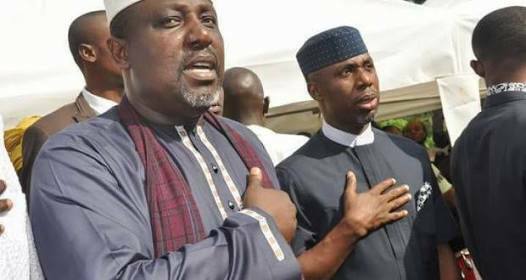 Okorocha and six others were invited to appear before the committee in Owerri, the state capital, on Wednesday (today). Others invited are the APC candidate for Imo East Senatorial District, Chief Emma Ojinere; House of Representatives candidate for Ezinihitte Mbaise/Ahiazu Mbaise Federal Constituency, Mr Raphael Igbokwe; Ehime Mbano/Ihitte Uboma/Obowo Federal Constituency’s candidate, Chike Okafor; Deputy Speaker of the state House of Assembly, Mr Ugonna Ozuruigbo; Mr Eddy Iheanacho; and a governorship aspirant, Mr Obinna Mbata. The committee, in the invitation letter signed by the chairman, Mr Matthew Omegara; and secretary, Mr Kevin Ugwu, said the party chiefs were invited for various anti-party activities. According to the letter, the committee would take decisions on what it described as their ugly activities after their investigations at the APC secretariat/campaign office in Owerri between January 16 and 17, 2019. The letter indicated that the affected persons would answer questions on allegations ranging from participating in anti-party activities to bringing the party to disrepute and ridicule. They were also accused of factionalising the party in the state, among other allegations.